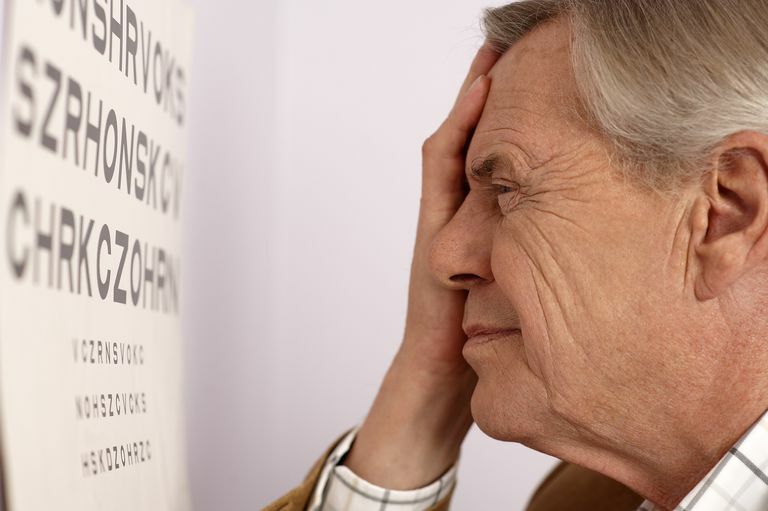 An issue that many people with Parkinson's disease (PD) cope with is visual disturbances such as blurred vision. This is an aspect of PD that deserves more attention because it contributes to falls, reading difficulties and potentially to safety issues when driving. If you are having difficulty seeing clearly, it is harder for you to walk safely, read (and comprehend) quickly, and drive safely not to mention half a dozen other things like using a computer or going grocery shopping. One major issue associated with these visual disturbances is freezing of gait. Many persons with PD report that this freezing occurs when they are having trouble seeing what is in front of them. Blurred vision. This causes you to squint and to re-focus your eyes too often. Photophobia. Bright light is often experienced as harsh and painful. Asthenopia. This is weakness or fatigue of the eyes, usually accompanied by headache. Double vision. Although less common than the above symptoms, seeing double happens more frequently among PD patients than among the general population. Visual hallucinations. About one-third of persons with PD will experience varying types of visual hallucinations. Usually, the hallucinations occur in peripheral vision (“I just saw an animal run past me.”) Visual hallucinations are often linked to medication dosage levels or to sleep disorders of PD. Difficulty estimating spatial relations. Persons with PD have a little more difficulty with spatial relationships than do other persons. Abnormalities of color perception. This happens especially in the blue-green axis, and of visual contrast sensitivity (VCS) have also been well-documented in PD patients. If you are experiencing any of these sorts of visual problems, ask your doctor for a referral to an eye specialist like an ophthalmologist or optometrist. These specialists can recommend treatment programs that can improve your vision and that can help you devise strategies for dealing with visual problems. Before taking any medications, the specialist might recommend you speak to your PD doctor to make sure that no problems will arise from the new medicine. A. Kesler and A Korczyn, Visual disturbances in Parkinsons Disease, Practical Neurology 2006; 6: 28-33. Davidsdottir S, Cronin-Golomb A, Lee A. Visual and spatial symptoms in Parkinson's disease. Vision Res. 2005 May;45(10):1285-96.